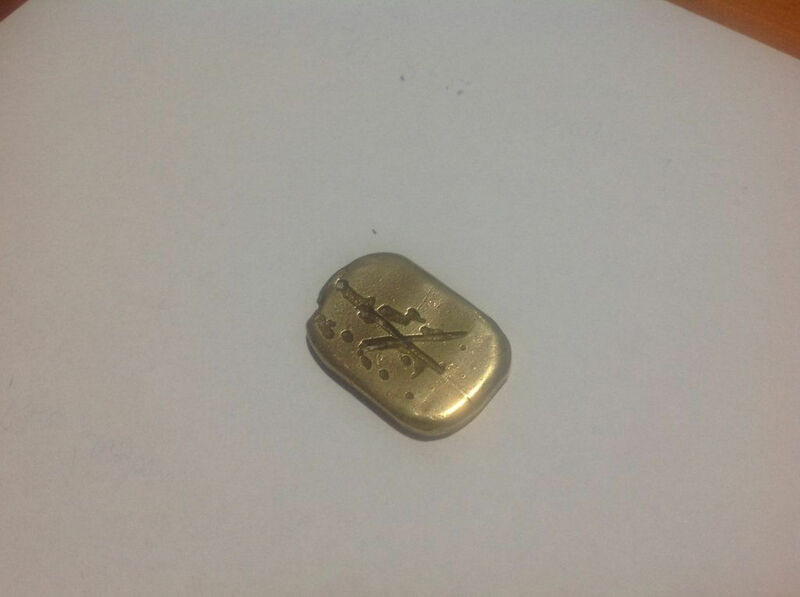 I'm very new to this so I'm hoping someone recognises the markings on this suspected gold piece, or help with an ID in anyway. Not yet confirmed by an expert but all home DIY tests point to gold. Any input would be greatly appreciated. Looks a bit like slag bubbles in a home poured gold bar to me??? Thanks Dave, I did suspect as much. Time to buy a test kit I think. Is it a particular wieght ? It weighs 37 grams. Yes the x is quite intriguing isn't it! I was thinking it maybe a even ounce or half , which would be a dead giveaway. Are you willing to share how it came into your possession ? It was given to my son by his grandfather, who came across it while restoring an old caravan 20 odd years ago. Initially he thought nothing of it, suspected it may be brass and didn't delve any deeper into it. We recently started becoming more involved in prospecting and remembered we had that lying around so we done a few tests and here we are. Use the search icon at top left of your screen and search for SG test . Basically its a test that determines the items weight per its area by using water displacement. Every metal ,rock, gem , mineral, etc has a specific weight . One can never be wrong at doing the right thing. As Aussie Farmer said, a specific gravity test will reveal whether it's gold or not. Here's a link to carrying out the procedure. Here's a link to a list of different metal SG's. Minelab GPX 5000, SDC2300, CTX3030, Equinox 800, patience, lot's of patience.